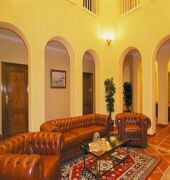 Located in the aristocratic heart of the Costa del Sol, at only 14 Km. 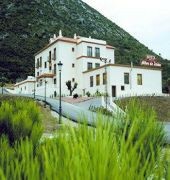 the wellknown city of Marbella, door of the majestic Nature reserve of Sierra de las Nieves, where the tourists will be able to enjoy wonderful landscapes splashed with ROCKROSES and SPANISH FIRS.This luxurious Hotel has all the necessary attachments to guarantee to its visitors a few relaxing and comfortable vacations. 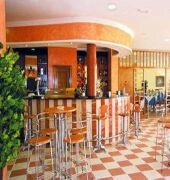 Its 26 rooms equipped with furniture of desing, air conditioning cool / hot, mini-bar, electrical engine for the ironing trousers, direct telephone , television, bathroom with hairdryer.The Hotel has a snack-cafeteria, restaurant a la carte, with continental buffet only for breakfast. This establishment is with the most modern sports installation provided with covered and indoor heated swimming-pool, hydro massage with lemon water, sauna Finn, and a great variety of machines for the practice of sports.Parking facilities.